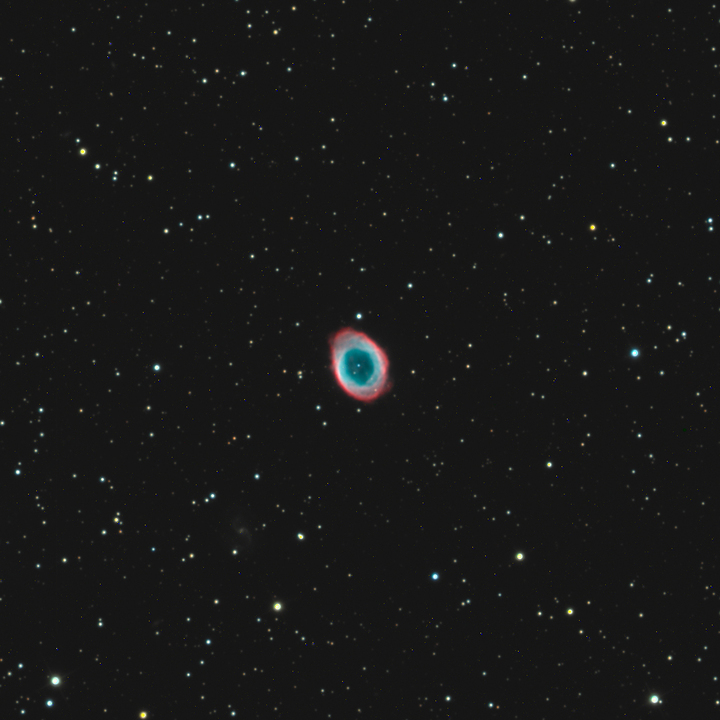 M57, or the Ring Nebula, is a planetary nebula. It contains the remnant of a star that went through its last evolutionary stage. It is 25,000 light years away in the constellation Lyra.